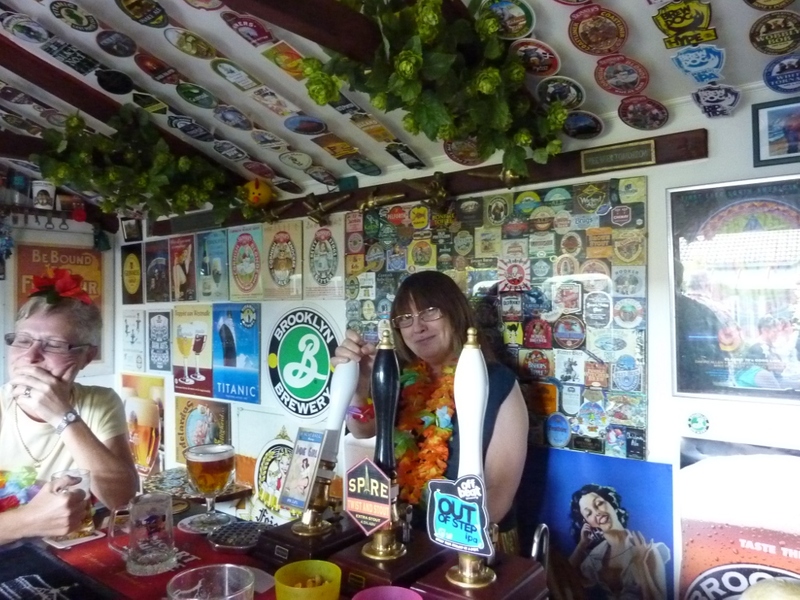 Lurking at the bottom of possibly hundreds (or even more) of suburban gardens, there can be found that most superlative of garden sheds – the private pub. I’m aware of several around where I live. 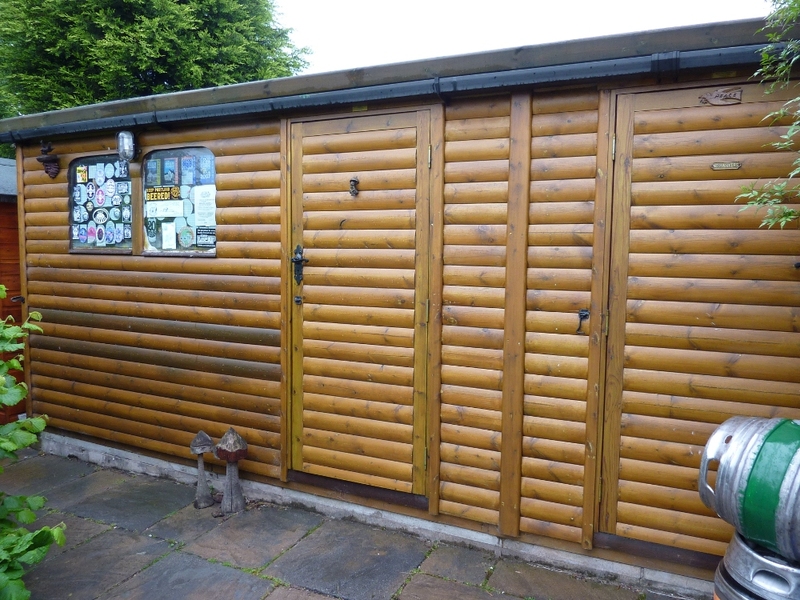 Not all garden sheds, there are converted garages and spare rooms (some rooms not so spare! ), all lovingly crafted by their owners into their vision of the perfect little pub. I’m going to concentrate on one as an exemplar of them all. 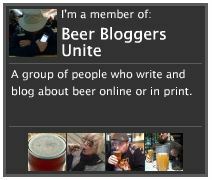 Otto Rhoden, doyen of northwest beer drinkers and sometime guest blogger on this blog, has created his own little slice of beer heaven in his back garden. It is housed in a slightly outsized garden shed, quite unremarkable from the outside, and is called the Moon and Mushroom. 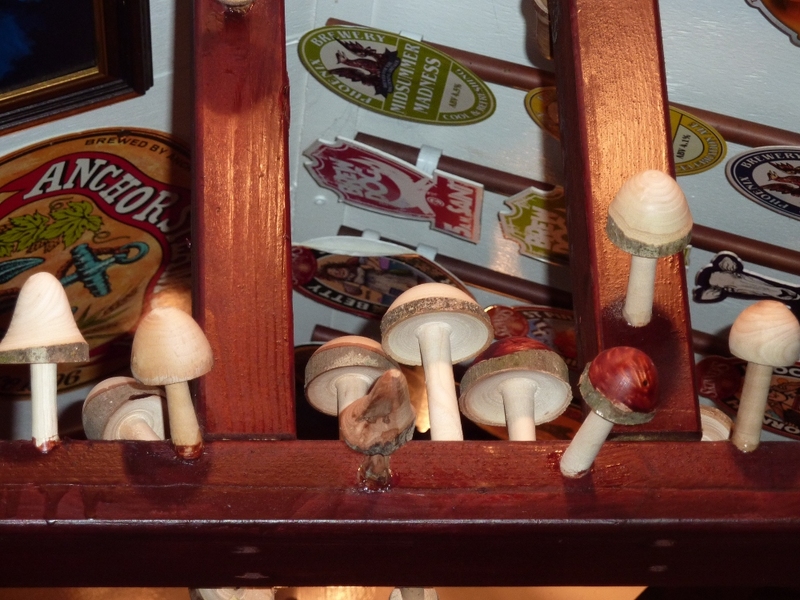 Whilst the outside may be innocuous, inside, the ‘Shroom is a lovingly created riot of beer memorabilia, and all the fiddly little knick-knacks that can be crammed into every nook and cranny. Little details like the little tables entirely covered with bottle tops, sunk into a think resin surface speak of the hours of patient work that have gone into this place. 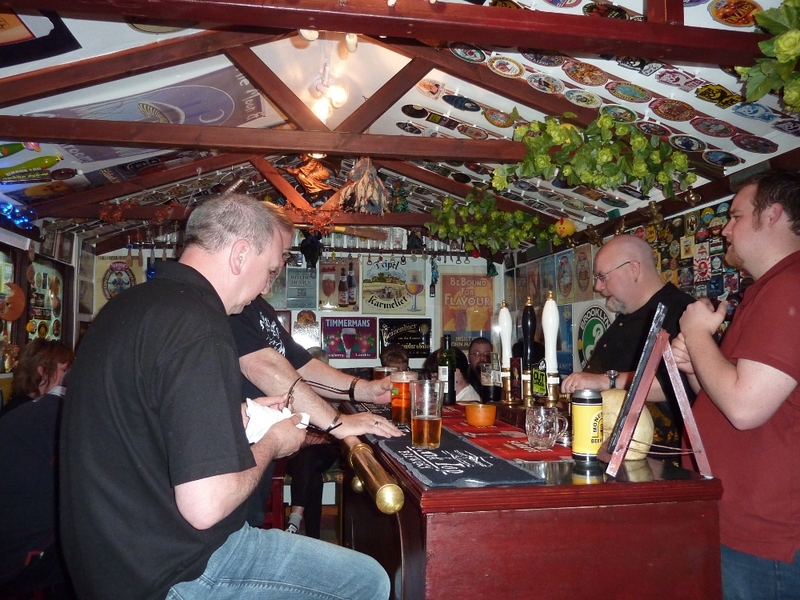 The bar supports three handpumps, and a smaller shed next door serves as a cellar. 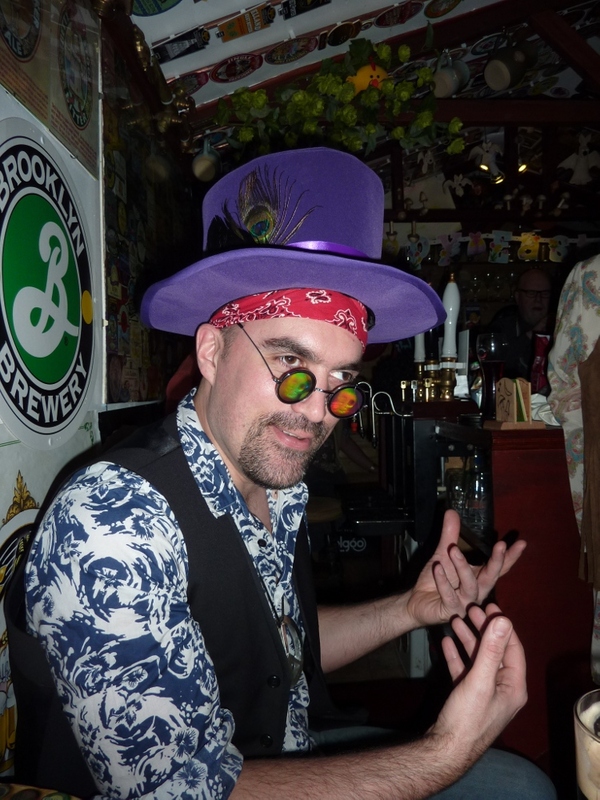 On most occasions, three casks of real ale are available, providing plenty variety for the fortunate invitees. 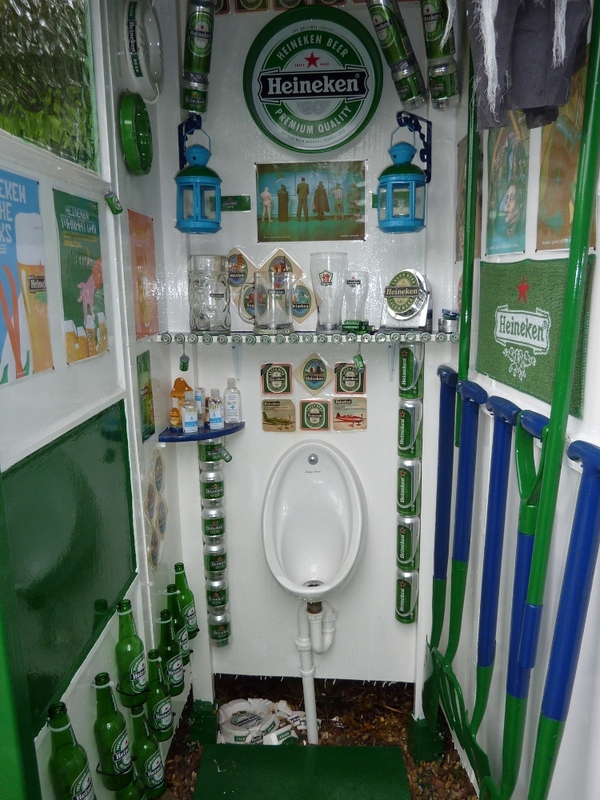 Of course, every pub needs a smallest room, and the Moon & Mushroom is equipped with the ‘Heineken Suite’, useful for the gentlemen, but the ladies must go into the house to use the facilities in there. 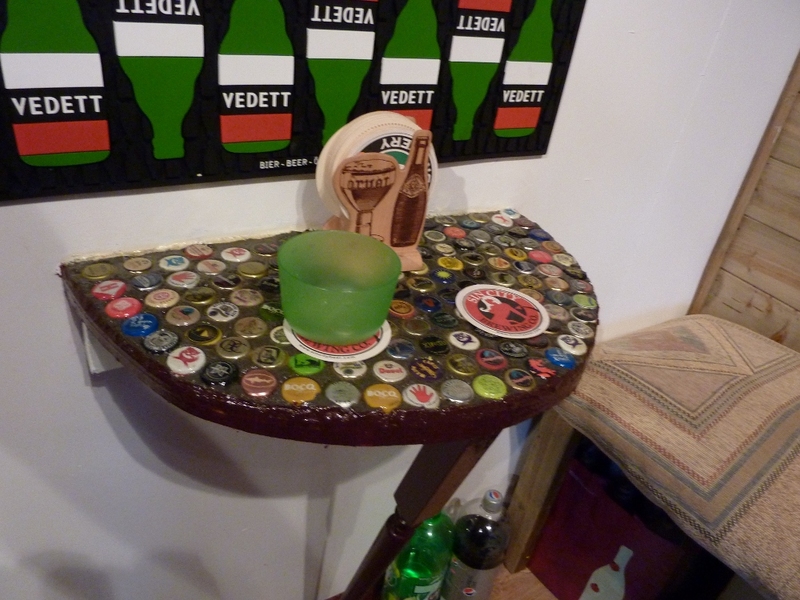 The Heineken Suite is richly decorated with memorabilia of that particular horrible fizzy commercial brew. You get the association, I don’t have to draw you a picture. ‘Shroom events are always accompanied by good food, barbecue on warm days, home-made pies and casseroles on colder days. 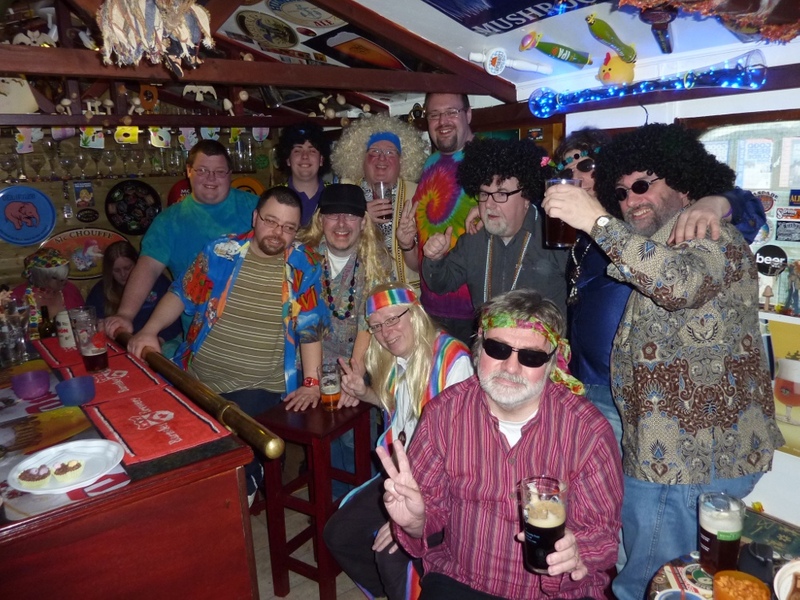 It’s a fabulous little venue, where friends can come together, usually in fancy dress, for an afternoon and evening in appreciation of great beer, great food and great company. Words and pictures are my copyright, please respect that. All you have to do is ask. Thank you.